With or without metal detectors Haram al-Sharif in Jerusalem, the third holiest place in Islam, is under Israeli occupation, says Gideon Levy from the Haaretz newspaper, adding that once religion gets into a political dispute, the situation becomes dangerous. 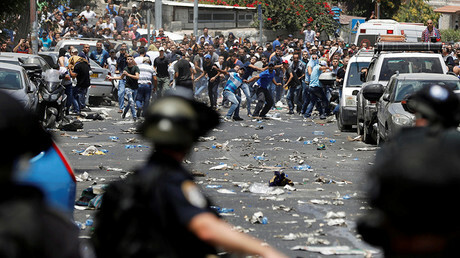 Clashes between Muslim worshippers and Israeli police broke out in Jerusalem again on Tuesday. Israel pushing Palestinians to violence with Temple Mount blockade & settler crimes – US State Dept. 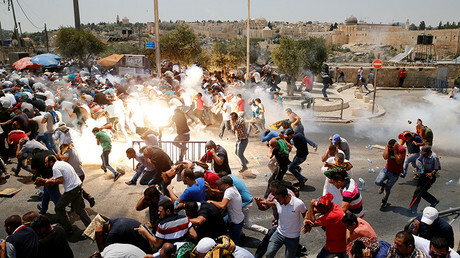 The unrest started over the decision by Israeli authorities to install metal detectors at Temple Mount, which is known to Muslims as Haram al-Sharif. They were put up after gunmen killed two Israeli guards at the holy site earlier this month. The metal detectors have now been removed, but security cameras remain in place. RT: In your article, covering the latest protests, you say events are a “dangerous message.” Can you explain that? Gideon Levy: The basic situation and one should not forget, the situation of occupation – the third most holy place in the Islamic world is under brutal Israeli occupation. That is the base for everything. With the metal detectors or without – that is the basic situation. Now, we’re dealing with really explosive material – once religion gets into this political dispute, this national dispute; once religion puts its leg inside this dispute, the dispute will get into a new dimension much more dangerous than until now. Israel is missing the point and missing the chance to get to a solution before religion [takes] over. RT: How likely do you think that Israeli officials understood that installing the metal detectors at the disputed territory would spark such anger? GL: They understood it and they and they ignored that, because they were preoccupied with domestic politics, it is all about domestic politics, Israeli domestic politics. One should say it is all a struggle on the right-wing political base of [Benjamin] Netanyahu's base, the prime minister, and some other ministers, who are more extreme than him. Finally, as Professor [Henry] Kissinger said once, in Israel there is no foreign policy, just domestic politics. In many cases, there is also no security policy, but only domestic politics. RT: The security measures were introduced after two Israeli soldiers were killed at the holy site. 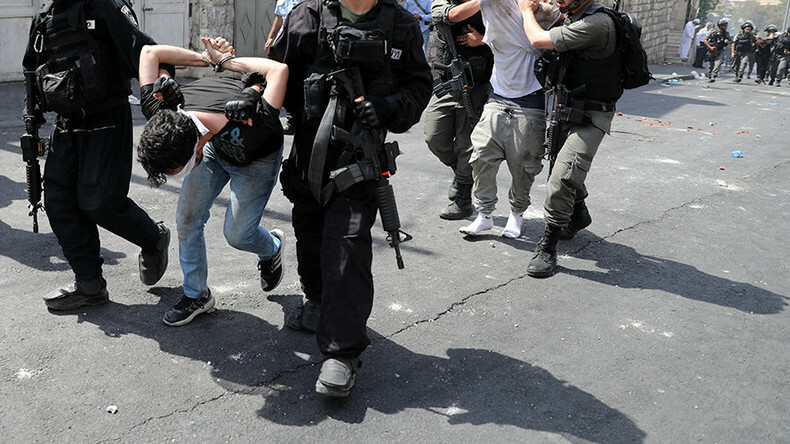 Could Israeli authorities have adopted a different strategy there? GL: No doubt about this: it is not me who thinks so, it is their experts who think so. The Israeli army and the Israeli secret services – both recommended to remove the detectors, because they understood that they have very little to do with security, and they have very much to do with flaming this explosive situation. Because on the Temple Mountain in Haram al-Sharif the status quo is almost holy, and each time that Israel is trying to violate the status quo, which is very fragile in any case; each time that Israel is trying to show more of an occupier there… and totally ignoring the Palestinians – it ends up with violence and blood.